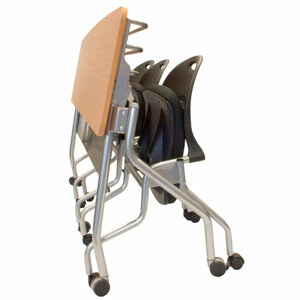 Flip top training table with book rack. Shown here with Beech Surface and silver frame. Also pictured are The Scope I nesting chairs.